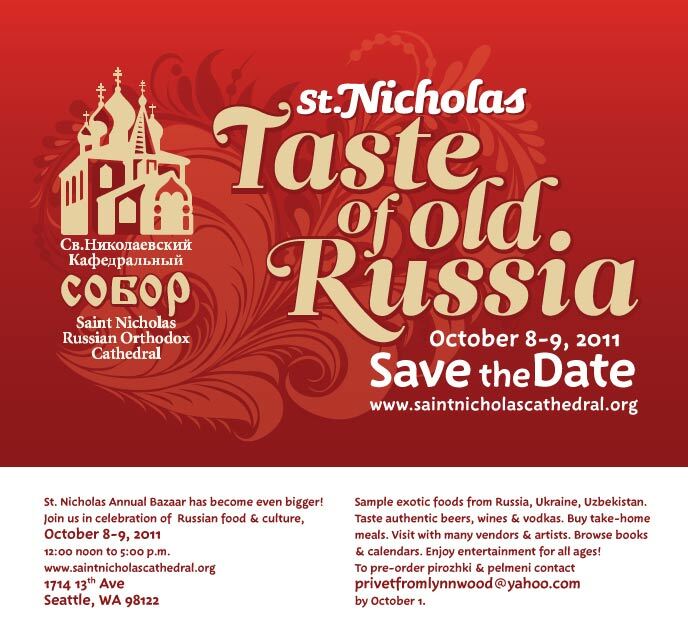 St Nicholas Cathedral in Seattle is having its annual Taste of Russia Bazaar. Alas the editor has to work and will not make it over to Seattle for the event. But who knows I may attend the St Spiridons Ethnic Bazaar this weekend. The Seattle Times wrote an article on the Festival last year. This entry was posted in Events and tagged Russian Bazaar, Russian Food, Russian Orthodox, St Nicholas Cathedral Seattle Washington. Bookmark the permalink.